You drowned my fears in perfect love. 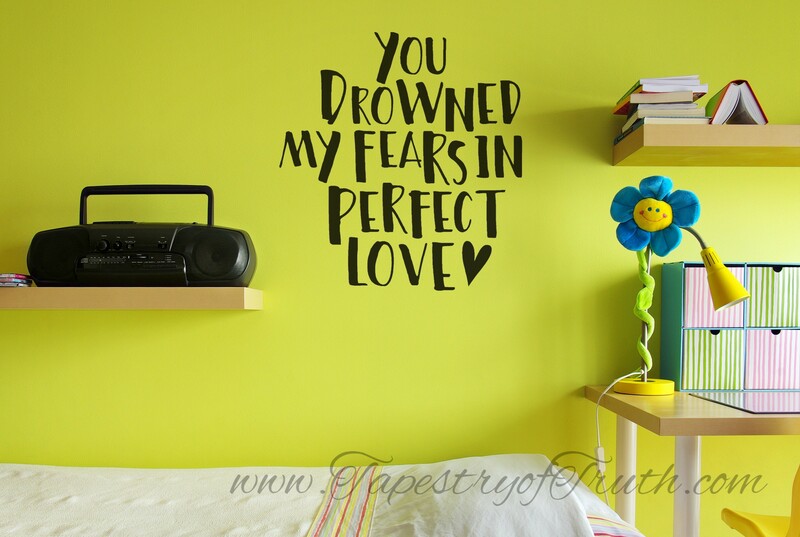 You drowned my fears in perfect love wall decal. You're reviewing: You drowned my fears in perfect love.